AUGUSTA – The state budget proposal put forward by Governor Janet Mills for the next two years is going to run a $62.6 million shortfall in fiscal year 2021, according to the non-profit group Maine People Before Politics, whose Honorary Chair, Governor Paul LePage, blasted the budget proposal in a press release last night. At issue is how the Mills administration is using funds carried over from the previous biennium to fund spending in only the second year of the proposed budget. The group released a detailed analysis of the proposed budget, pointing out that Mills’ proposal would use up all general fund revenue and one-time funds to come into balance by a tiny fraction of one percent on paper. Funding programs in only the second half of a two-year budget to create the appearance of balance and sustainability is a commonly used budget gimmick in Augusta’s history of constructing state budgets. The difference between Janet Mills’ budget and a drunken sailor is that a drunken sailor spends his own money. It is outrageous. She’s spending the projections before the money is even in the bank. It is irresponsible. Fmr. 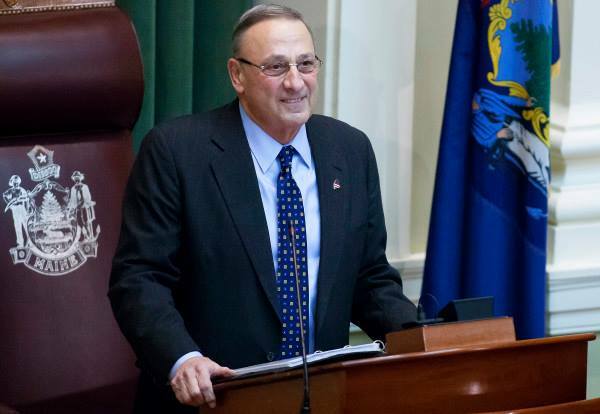 Governor Paul LePage, February 11, 2019. The analysis from MPBP also includes detailed criticisms of the failure of the Mills administration to identify a sustainable funding source for Medicaid expansion, and lack of explicit funding for Governor Mills’ proposal to increase teacher salaries, which the group says could lead to property tax increases. Tom Brady pays a lower marginal tax rate on his NFL salary in ‘Taxachusetts’ than a Mainer making $51,000. Maine People Before Politics analysis of Janet Mills’ two year state budget proposal, February 11, 2019. Governor Mills also sought to dampen criticism of her budget’s spending well beyond the current projected revenue from the Revenue Forecasting Committee by suggesting that the next revenue forecast, due in May, will exceed her current levels of proposed spending. Mills budget proposal has been criticized for increasing spending by more than 11%, which Republicans and some others have called unsustainable.